The new "Adhesives Technology Compendium 2013", the English-language version of the well-known "Handbuch Klebtechnik", is being published in annual alternation with the German printed version, enabling all those involved in adhesives throughout the world to find the very latest information on the products and services of the German adhesives industry. The Compendium of more than 100 company profiles provides a comprehensive overview of suppliers of adhesive raw materials and adhesives as well as equipment suppliers, research facilities and service providers - supplemented by the latest legislation, European standards, testing methods and statistical overviews. 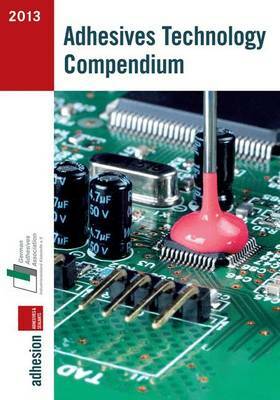 In addition to the printed version of "Adhesives Technology Compendium 2013", the contents of the compendium are also available in a virtual form as an e-book at http://www.adhesivetechnologycompendium.de/. Keyword search functions and bookmark functions enable decision-makers from all over the world to obtain a fast and targeted overview of important companies operating in the field of adhesives technology. The logos that appear together with the individual company profiles are directly linked to the company websites.